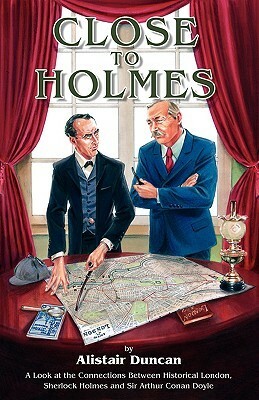 A very interesting book about the London of Sherlock Holmes and Sir Arthur Conan Doyle. A must-read for Holmes' enthusiasts. This is a wonderful book. A fascinating look at the London haunts of both Sherlock Holmes and his creator Sir Arthur Conan Doyle. The wealth of information makes me want to read the Holmes canon all over again, now I know more about the locales referenced. Essential for Holmes fans and also extremely useful for authors writing about London in late Victorian/Edwardian era. Alistair Duncan - A Sherlock Holmes fan since introduced to Basil Rathbone in 1982. Alistair Duncan has written extensively about Sherlock Holmes and his creator Sir Arthur Conan Doyle.Eliminate the Impossible (2008)Close to Holmes (2009)The Norwood Author (2010)An Entirely New Country (2011)No Better Place (2015).Winner of the 2011 Tony & Freda Howlett Award from the Sherlock Holmes Society of London for "The Norwood Author".Short-listed for the 2010 and 2016 Tony & Freda Howlett Awards for Close to Holmes and No Better Place respectively.